Simple cookies always work on dainty trays. 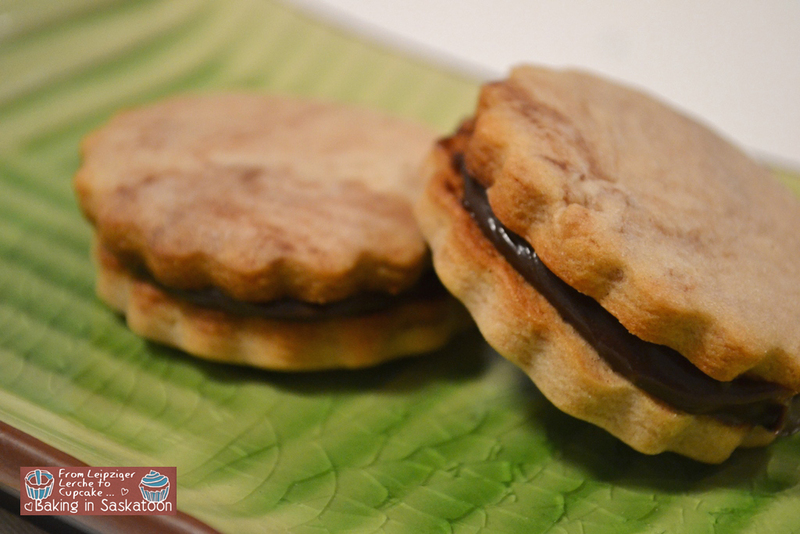 I mean, everyone likes cookies and if they are filled with chocolate ganache it’s even better. I had some of that ganache left over from, I am not even sure what. Check here for the ganache recipe. I also used the recipe for the cookies before. Here is the original recipe from the Playdough Cookies. Make sure that both, butter and cream cheese are soft, cream them together with the sugar. Then add the egg and vanilla, combining again. Sift flour, baking powder and salt together and sprinkle over the butter mix. Then knead it together by hand which gives you more control. Once everything is incorporated you can add the cocoa powder. Use as much as you see fit. To achieve the marble effect you should just roughly knead the cocoa in. Place the dough in the fridge for 2 hours. Remove from the fridge and let it warm up a bit so you can work the dough better. Give it a quick knead before rolling out slightly thin. You can use any cookie cutter you see fit. When re-kneading the dough you might want to add another bit of cocoa powder to make sure you keep the marble effect. Bake at 180°C for 10 min or until light brown. Let the cookie halves cool before filling. Make sure that the ganache is slightly cool so that the halves are not sliding off each other. 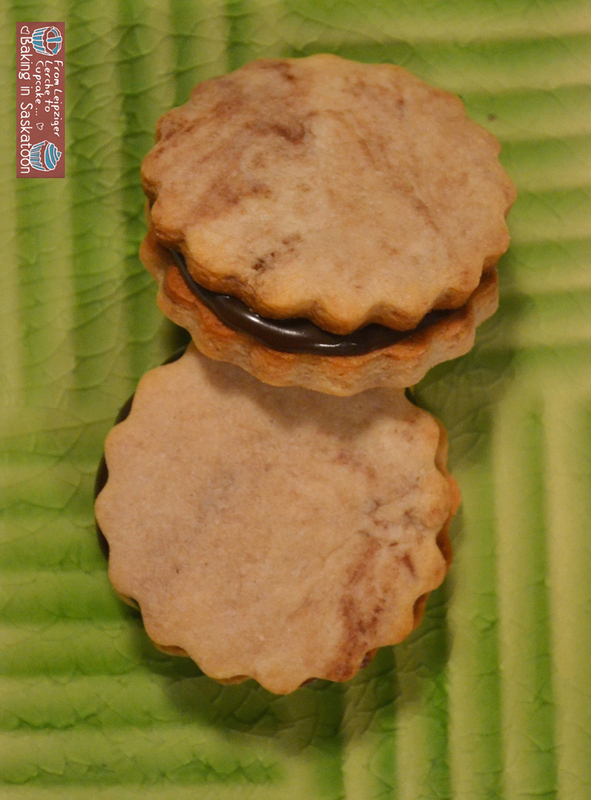 Use a spoon to add the ganache to one cookie half and then twist the other half on top. 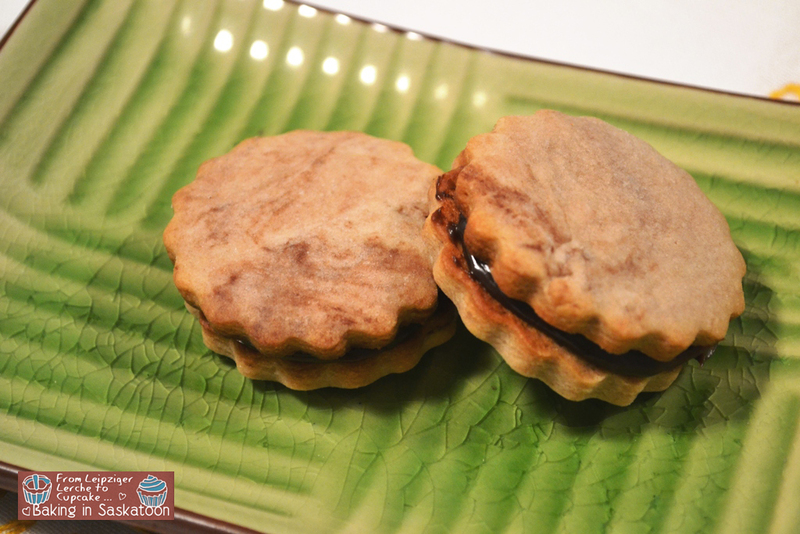 Store the cookies in a air tight container in the fridge and take them out 20 min before serving. Looks too gooood! Love your blog – can’t wait to read more!